The average person owns thousands of them but many of us don’t know exactly what they do. We’re talking about the unsung heroes of DC/DC regulators, the silent switchers that quietly power our world. In this week’s Fish Fry, we’re swimming in the power end of the pool with Leonard Stargat. Leonard is here to unveil the mysteries of silent switching. Don’t know what a silent switcher is or why you need it? 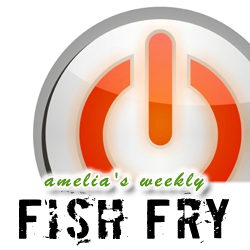 Never fear, Fish Fry is here to help! In the third part of our smarter power series, we take a closer look at how switching regulators can replace linear regulators in the power ecosystem.